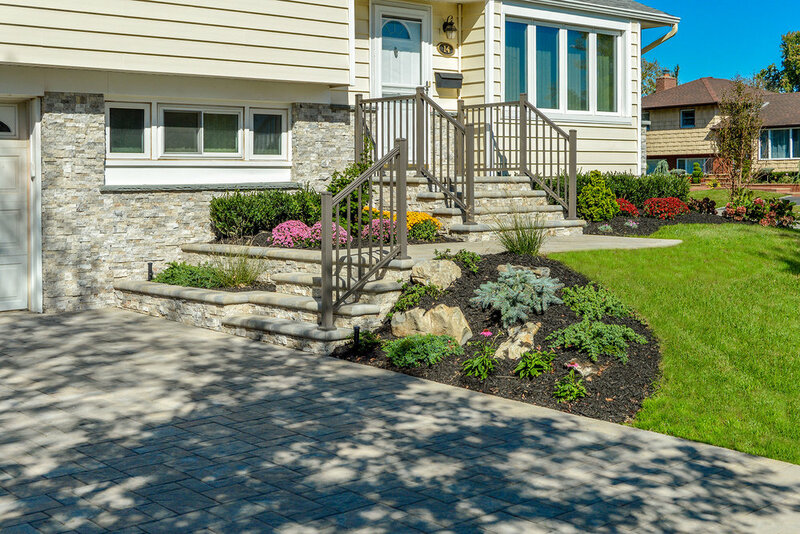 Above All Masonry contractors designed and installed this welcoming and stylish front patio, completely transforming the entrance of a Long Island home. The natural incline of the property lends to a multi-leveled staircase to accentuate the curve of the yard. 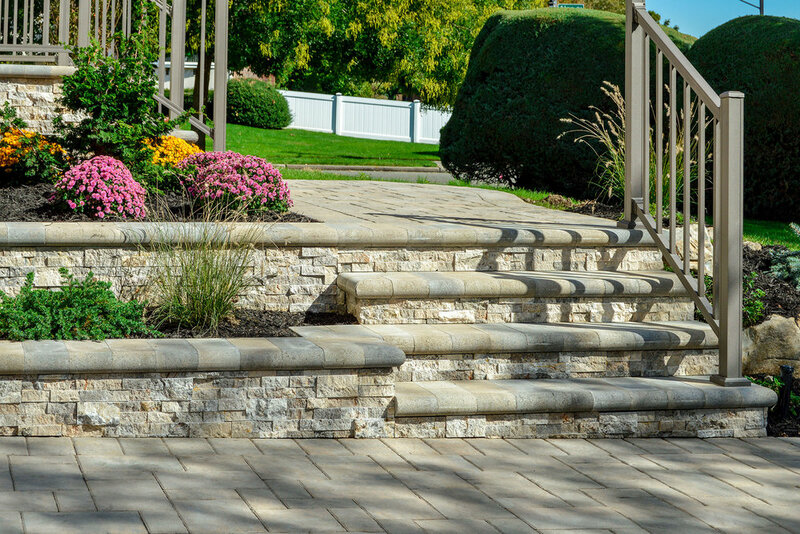 A combination of tiered gardening and stacked retaining walls create both beautiful design and strength for the patio. As visitors make their way from the driveway to the front door, they follow along the Unilock Treo stones lining the walkway. Their natural mix of warm tans, creams and grays blend into the surrounding gardens that follow the flow of the patio. 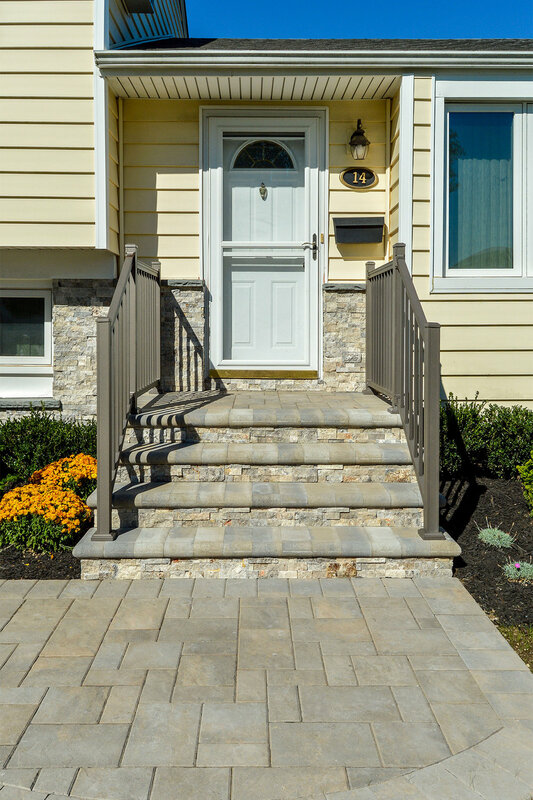 Elegant railings line both the first and secondary staircase, accenting the colors of the stones and lining on the house. 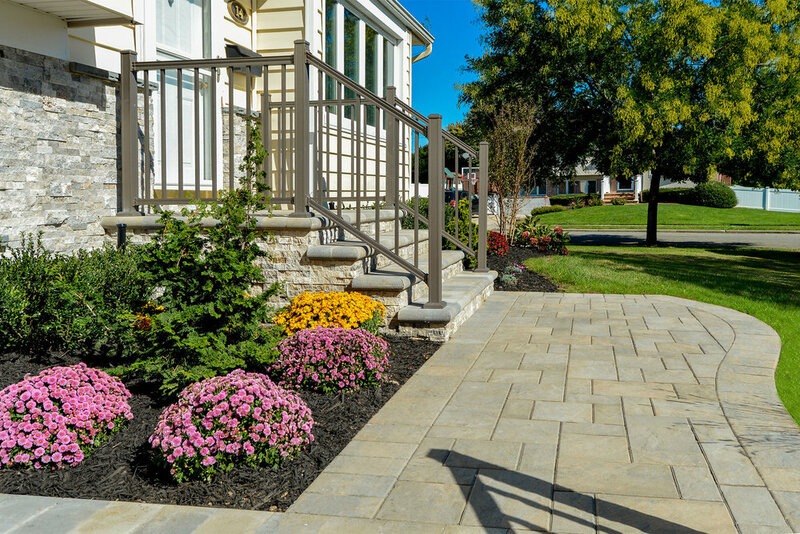 A structured and curated simple desing such as this enhances the curb appeal and overall experience of visiting a home.